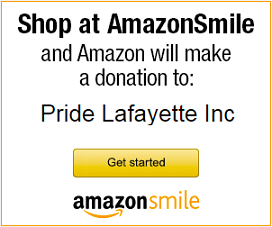 Severe Weather Policy – Pride Lafayette, Inc.
Our Severe Weather Policy outlines the actions Pride Lafayette will take in response to various severe weather situations. In a tornado warning or a severe thunderstorm warning issued under a tornado watch, doors will remain unlocked if the Center was already open so those coming to the Center can opt to seek shelter with those at the Center. However, it is advised to seek shelter below ground if possible when sirens have sounded. Note that the Center has no basement. Also, be aware that the ground level shelter space at the Center is limited to our accessible restroom and the small interior office.